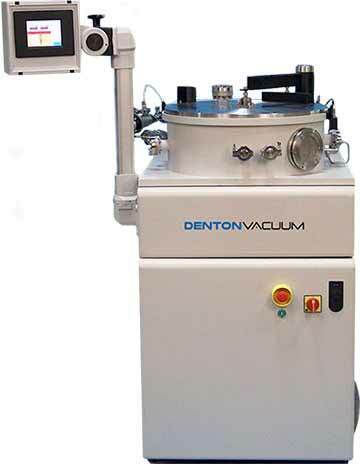 The Voyager is a plasma-enhanced chemical vapor deposition (PE-CVD) system with a focus on diamond-like carbon (DLC) that provides best-in-class flexibility to coat planar (ex. silicon wafers), and three-dimensional parts (ex. optical lenses). The system is configured with Denton’s Process Pro control system, allowing for automated and manual process control. In addition, there is an optional proprietary chamber configuration to enable co-sputtering of metals during DLC deposition for metal doped DLC (Me-DLC) films. This configuration is unique in the industry and opens up the potential to develop novel DLC films with tailorable mechanical, electrical, and tribological properties. The Voyager solution offers PE-CVD & sputtering with conformal coatings, low temperature processing and high intrinsic uniformity. The Voyager system is fully compatible with all front-end options, including cluster architecture to scale into high-volume manufacturing.